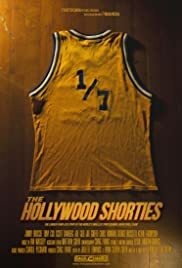 A professional dwarf basketball team defies cultural stereotypes to become one of the most unforgettable attractions in 1980's Los Angeles. A story about fame, addiction and a custody battle over a man's leg. A filmmaker journey through the former East Germany looking into her father's 1999 suicide. Granted controlled access by national officials, filmmaker Álvaro Longoria tours North Korea to contrast his findings to the typical Western depiction of the nation. The story follows a young woman as she's put through a psychological journey under the thumb of a mysterious figure who suspects her husband of stealing millions from a crime syndicate. After five citizens of the Virgin Islands are convicted in the 1970s of a massacre at one of the island's fancy country clubs, their ostensible leader stages a skyjacking and escapes to Cuba. The larger-than-life story of the world's smallest professional basketball team.